Ciabatti: "The V4 is already faster than the twin"
Interest and intrigue is continuing to build around Ducati’s new Panigale V4, as the Bologna factory are set to race with the four cylinder in 2019 with Chaz Davies and Alvaro Bautista at the helm. Speaking to MotoGP’s pit lane reporter Simon Crafar this weekend at Misano World Circuit, Paolo Ciabatti reveals information regarding their latest testing of the new bike. 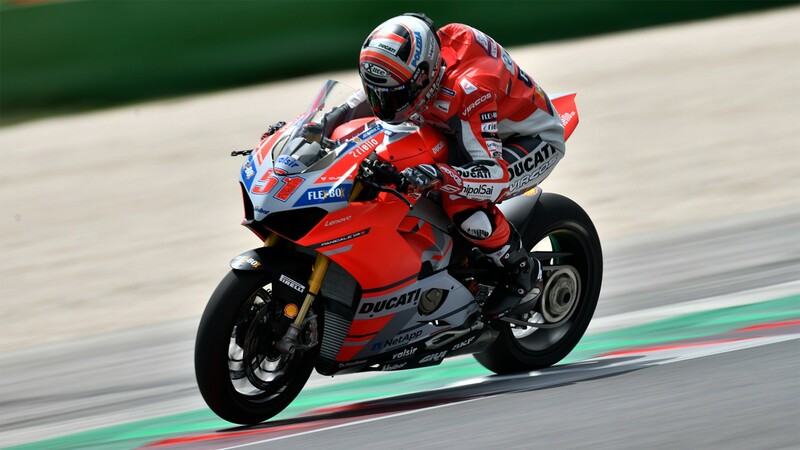 Calling in the skills of their official test rider Michele Pirro, the first tests are positive and work is well underway to get the bike competitive in time for the MOTUL FIM Superbike World Championship 2019 season opener. Speaking to WorldSBK.com back in August, Chaz Davies (Aruba.it Racing – Ducati) explained he was yet to swing his leg over the new bike, and the factory want it to be ‘really ready’ before they unleash the beast. Keep up with the latest news on the V4, or follow Ducati’s progress at the Nolan Portuguese Round from 14th – 16th September, all with the WorldSBK VideoPass.